Smartphone cameras have improved tremendously over the years and nowadays you can easily replace a point and shoot camera with your smartphone, especially if most of the photos you take are during the day and you are not too pretentious about image quality. One of the biggest leaps in cameraphones recently was the switch to backside-illuminated (BSI) sensors with the light sensitive element being in front of the wiring. A solution that allows for better low light imagery, the technical difficulties for it were overcome in 2011 and 2012, and now most high-end cameraphones have BSI sensors. In 2013 we are going one step beyond. A lot of mainstream smartphones will be making the jump to 13-megapixel cameras which should translate in greater detail. 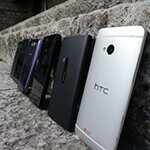 HTC has gone against the trend and the HTC One has only a 4.3-megapixel camera. To make up it aims to deliver the best low-light images and videos. And with no intentions to do large prints the 4.3 megapixels should definitely suffice. 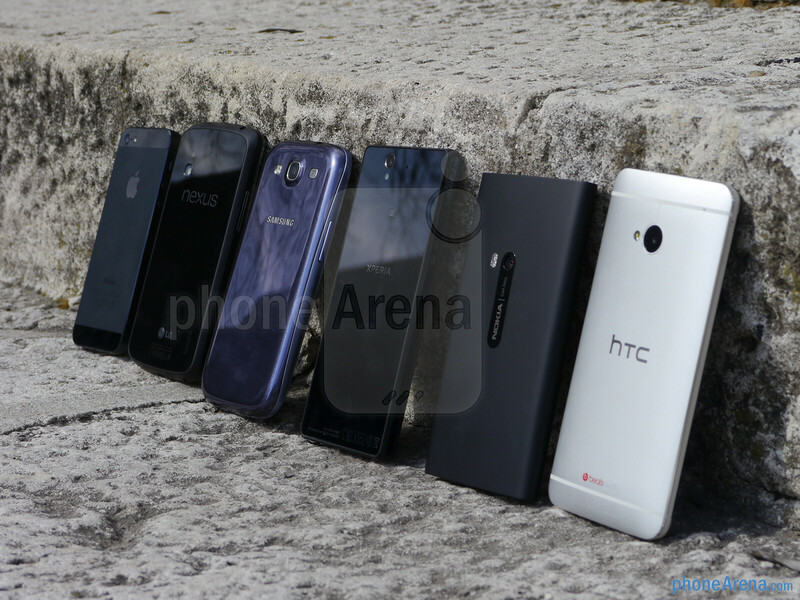 Now, we have a star lineup to compare HTC’s latest and greatest with. 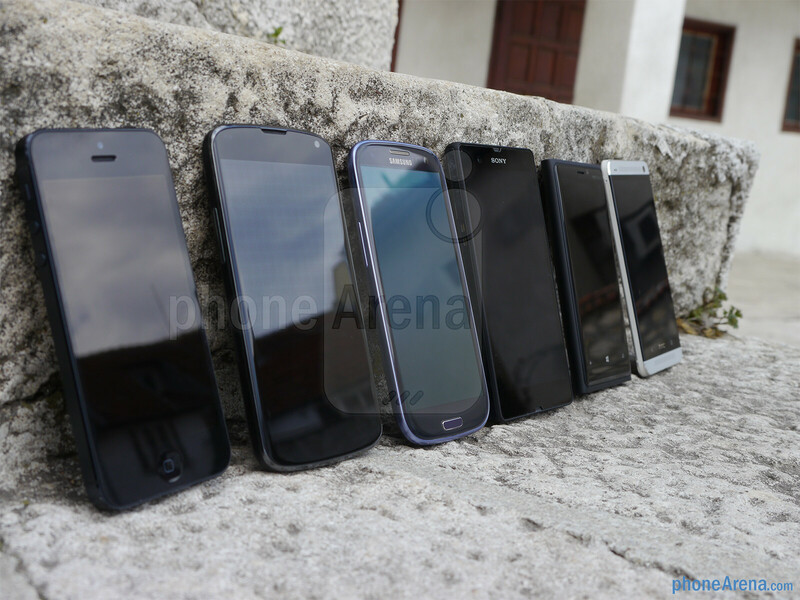 In this latest smartphone camera shootout we are comparing the HTC One against its biggest rivals: the trend-setting Apple iPhone 5, the most prolific Android device, the Samsung Galaxy S III, and the other smartphone with focus on low-light camera performance, the Nokia Lumia 920. Then, we also have Sony’s 2013 flagship, the Xperia Z with its Exmor RS 13-megapixel camera, and finally, Google’s own Nexus 4. Additionally, we have reference shots taken with a dedicated camera, the Panasonic Lumix GH2 with its 18-55mm kit lens. We have used automatic settings in all conditions, except at night when we used night mode (where available) and for macro where we used the macro setting (where available). Images from the reference dedicated camera were downsized to 8 megapixels. When it comes to the small details in the image, the newcomer HTC One with its modest 4.3-megapixel camera is not standing in a good position. Looking at 100% crops or zooming in closer, you’d definitely see that fine detail is not among the One’s strong features. Images look a bit spongy, even in perfect weather. The Nokia Lumia 920 yields a high amount of noise, and there is a lot of softening happening on the device. This makes for less distinct images, lacking a bit in sharpness. The Apple iPhone 5 and Samsung Galaxy S III performed similarly to each other - detail was relatively high, with noise in check. They are our favorites here. Strangely, smudginess is something that affects the Sony Xperia Z too to some degree. We got varying results with it, in some situations it managed to capture some fine details others could not, but most times this came at the expense of softening the actual image. On the Nexus 4 noise was noticeable even on a bright sunny day, which is bad, but detail is above average compared to the competition. I bet u didnt even compared the pics before commenting here ! Your thumbnail says it all. BTW, I'd love to be stand corrected if you can tell us what led you to believe Xperia Z is best camera phone. Life in ignorance must be blissful. In my opinion the best looking photos come from HTC One and iPhone5 ....then the rest follow. but I dont speak russian!!!! I think we should wait for such comparison with the galaxy s4. Agree, anyway I bought my Lumia 920, its osom!!!! Well looking at the pictures, iPhone 5 does come out on top during night. But being said that in almost all other website's camera phone review, Lumia 920 was on top. that baffles me too TBH ! Regardless of which made it to the top and which to the bottom, i don't agree with how PA post comprisons. Last we had comprisons like this (minus the One and Z) it was different. Now it's shuffled to a new order, the results vary and it feels different. 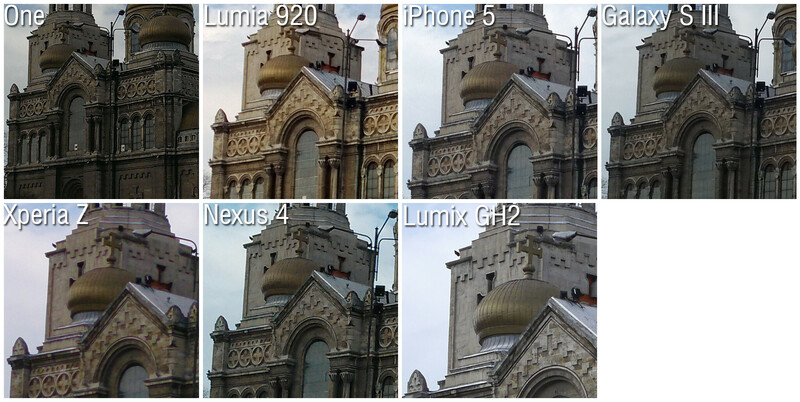 Each camera comparison has different results for every smartphone, except for the iPhone. It has been compared with consistency...don't know if it really is or not but i've been saying this since last year to PA. To hire a proper professional if you have to compare...use manual settings, make the best out of the phones and see the result and then we can see the real potential behind each device. Maybe they were blocking the 920's light sensors or messed the settings up. This result is less than realistic. Nopes, HTC One won in the low light category. That's why I say gsmarena is best! !they are all anti nokia & paid by appy nd samsung! Yes iphone 5 has the best camera phone it's even better than xperia z. I saw a comparison in you tube between iphone 5 and xperia z made by a professional photographer and iphone still the winner, even though the iphone 5 camera still better than S4 check the comparison over here on phone arena. I'm not an Apple fan but the iPhone clearly takes the best pictures followed by the GS3. The 920 has a great camera as far as stability but the picture quality is unbalanced and always requires retouching when saved to the pc. The rest of phones take acceptable photos. I think you're pretty spot on. I like the iPhone 5s day time pics the best and the Lumia 900 nightimes. The GSIII has great day time but poor low light the Xperia Z falls behind a bit and the Nexus 4 even more so. The One takes good photos but they generally lack details and are not as appealing white balance wise. The Lumia in day light is alright, but a few poor color accuracies and smoothing of details have always haunted the Lumia line. From the very few pics we've seen the GSIV looks to dethrone the iPhone5 for daylight photos. We'll see.